The soup maker is trimming costs on its iconic steel cans. The soup is off. So are the jobs. The Sacramento area will lose 700 jobs as a result of Campbell Soup closing its production plant in California's capital city, according to the Associated Press. The plant was one of the company's largest in the United States. The company needs to cut costs because fewer people are eating canned soup, the news wire reported. 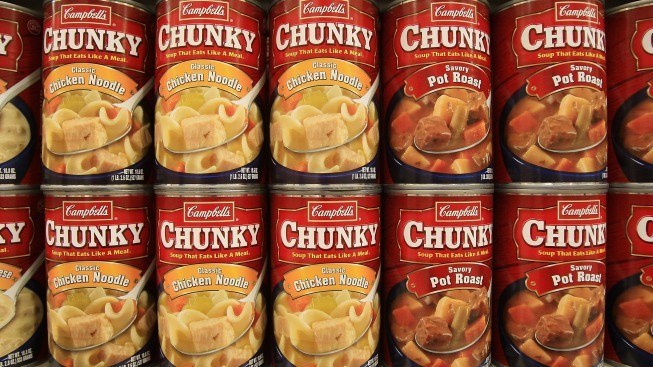 Campbell's is the world's largest soup maker. The company is looking to "lure younger customers," however, which means an emphasis on products packaged in pouches rather than the "iconic steel cans," the wire service reported. Another company makes the pouches; Campbell's makes the cans. Another plant in New Jersey is also scheduled to close. The California plant will close by July 2013, the news wire reported.